I read this article and found it very interesting, thought it might be something for you. The article is called Synchronize Your Contacts on iOS Devices Using URTELI Appand is located athttp://innov8tiv.com/synchronize-contacts-ios-devices-using-urteli-app/. You can now synchronize your contacts list easily with other mobile devices. For this purpose, you need to use the services of URTELI app that synchronizes the contact list with a cloud server for central access to your saved contacts. You can also download your contacts from one mobile device to another. Urteli makes it quite convenient for you to download only selected contacts. Download Urteli, and get instant access to your contacts independent of the mobile. This app is pretty useful when your mobile is lost, out of battery juice or broken. The good characteristics of the Urteli app are presented below. You can access the information about your contacts, like their home address, phone numbers, and email addresses from your friend’s phone without saving the information on their phone. It is optional to download only selected components. The patent of Urteli is still pending. Urteli will send the notification to the contact that you intend to call from some other phone about your real identity. This is a really great feature when your mobile is out of battery, stolen, lost or out of credit. You need to set the four digit pin code to avoid unauthorized downloads or uploads of your contacts using Urteli. 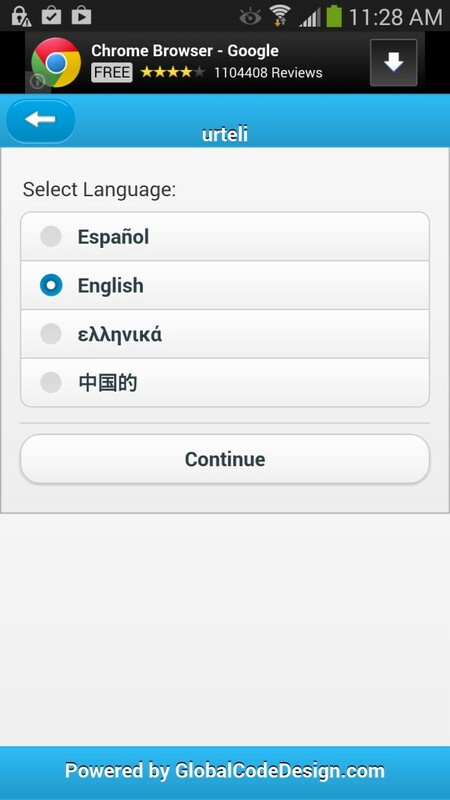 The app is available in Spanish, English, Greek, and Simplified Chinese. Urteli is designed for Android as well as iOS. You can register with a new account or log in using social media networks such as Linked In, Google, and Facebook. You can post to Facebook through Urteli. The integration with Google and Linked In are coming soon. The searching options are quite user friendly.